Way back when, they logged timber and milked cows at Terrigal. Later, came the construction of humble holiday homes that Australians quaintly referred to as “weekenders”. Terrigal became an affordable holiday centre popular with families from nearby Sydney, Newcastle and beyond. 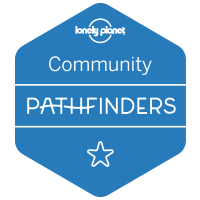 The name became linked with thoughts of Summer; sunshine; surfing; prawns; and fishing. But, as we drove over a hill and into the beachfront town last week, it was obvious the times had certainly changed. Terrigal is now a ritzy, up-market social centre, where hipsters and well-heeled young progressives mingle on the beachfront, sipping on a seemingly endless flow of Cafe Latte and Chai Tea. Restaurants and coffee shops seem to jostle for prominence along The Esplanade, the downtown area fringed by a line of impressive Norfolk pines and home to the upscale resort known as Crowne Plaza Terrigal. However, it also soon became obvious that, as much as Terrigal had become cosmopolitan over the years, the original lure of striking coastline and inspirational scenery, still remained. 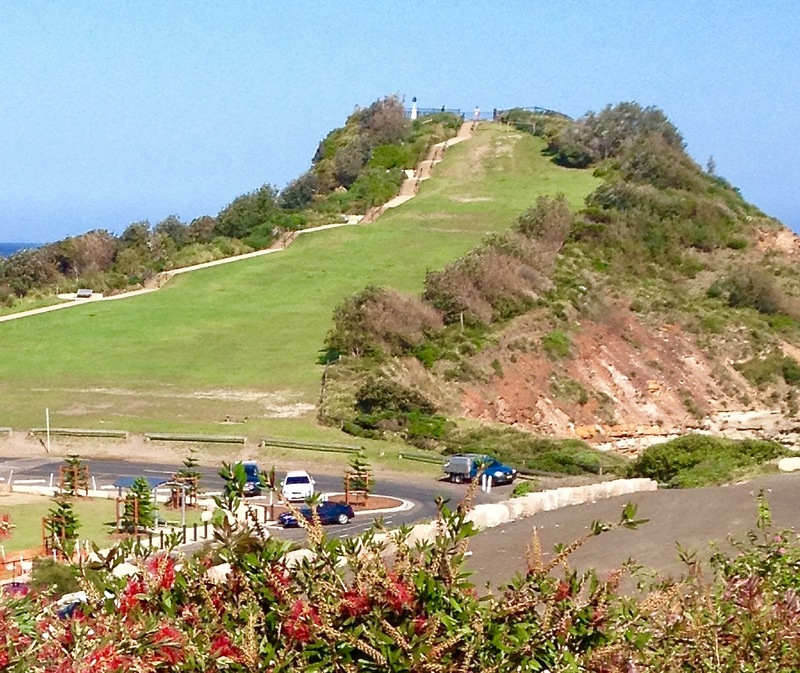 The iconic headland called The Skillion – a geological oddity that dominates the beachfront – is still as remarkable as ever. On the inland side, The Skillion has a flat, grassy area that leads up from the Haven oval to a lookout high above the town. This can be reached along a walkway that connects the headland to the adjoining beach. 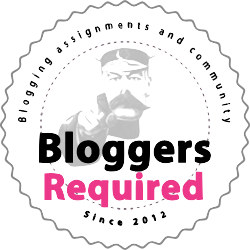 Negotiating the walkway is not difficult and there are regular resting spots with seating. A steep cliff drops away below The Skillion to the bright blue of the Pacific Ocean. All around, waves pound onto glistening rock platforms, some crusted with green slime. The awesome force of nature is delightful to see and the sea spray rises like a fine mist. 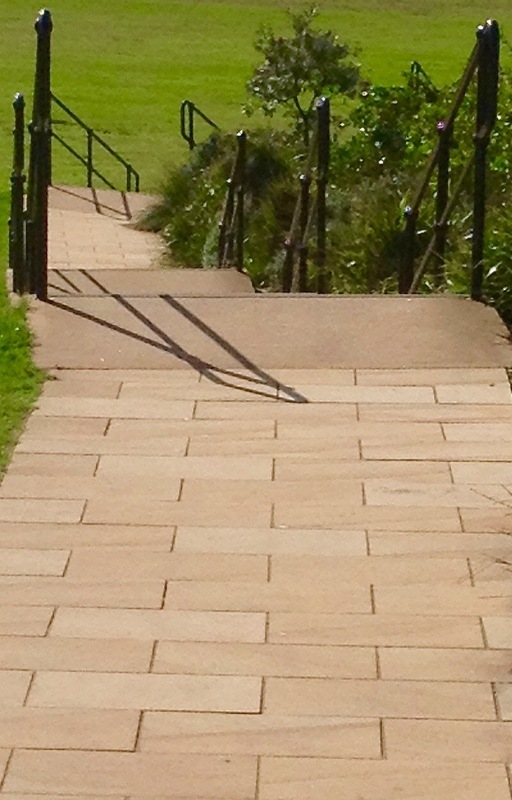 From Terrigal’s walkways, the views are inspirational. There’s so much blue that the sky and the sea sometimes seemed to merge. And the air was so crisp that is occasionally hit you in the lungs like a short jab to the ribs. The sand at Terrigal is remarkably white and clean and seems to stretch forever. In fact, the town is located at the southern end of four kilometres of unbroken beach. 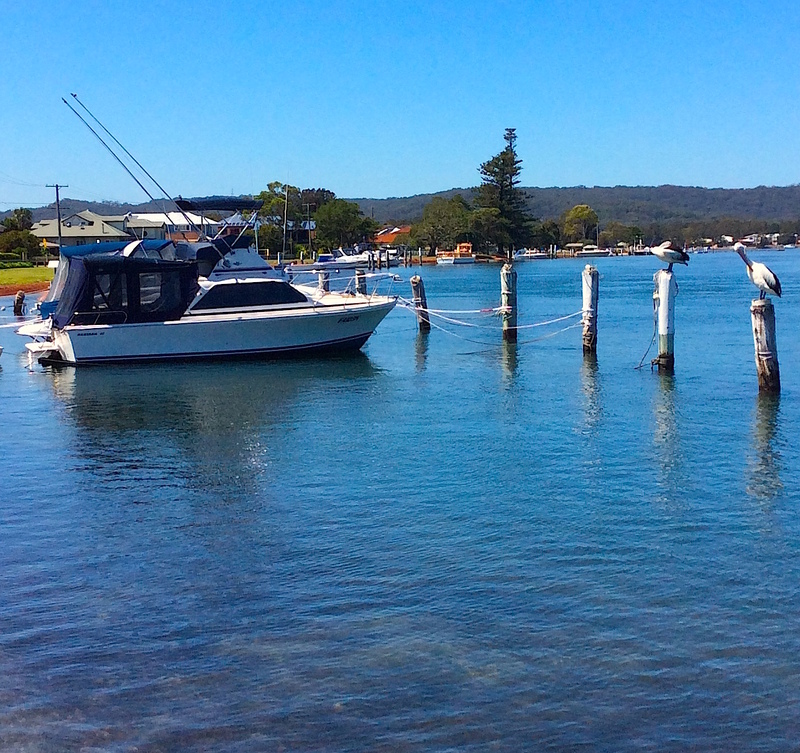 Naturally, the area is a magnet for surfing, swimming, boating, waterskiing and fishing. During our time at Terrigal, we also ventured south to the equally picturesque towns of Davistown, Saratoga and Avoca Beach. 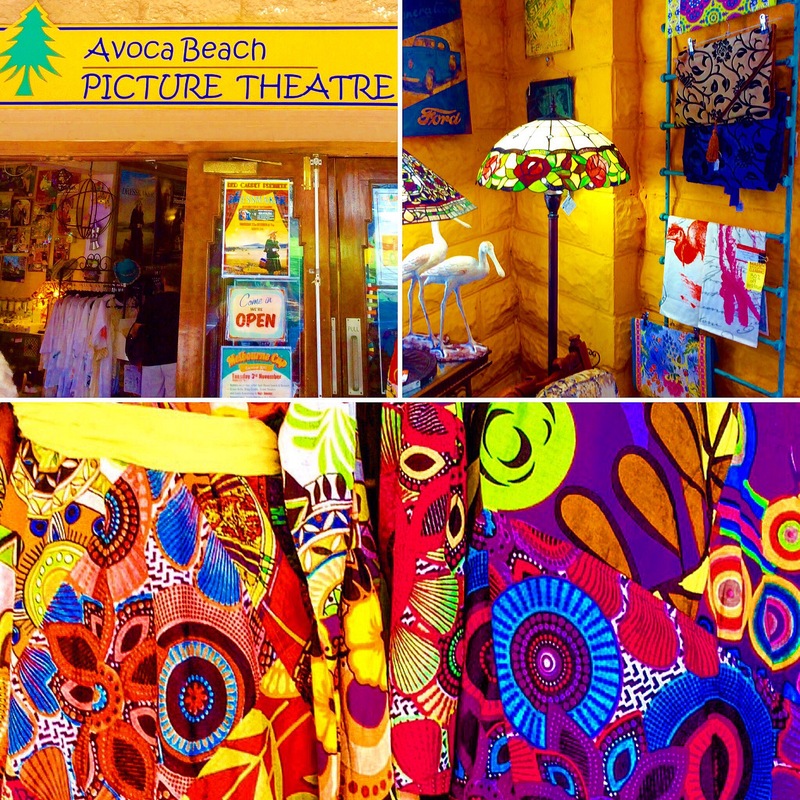 After enjoying traditional fish and chips by the surf at Avoca Beach Seafoods (also see our thoughts on Trip Advisor), we wandered to the historic Avoca Beach Picture Theatre and were struck by the colourful arts and craft on sale in the foyer. 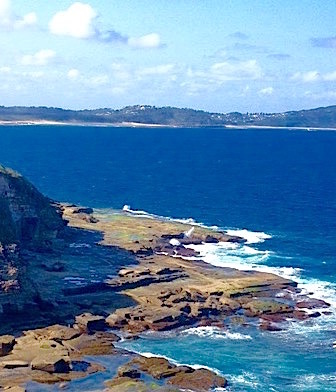 Terrigal and surrounding area is located between the cities of Sydney and Newcastle, on Australia’s eastern coastline. 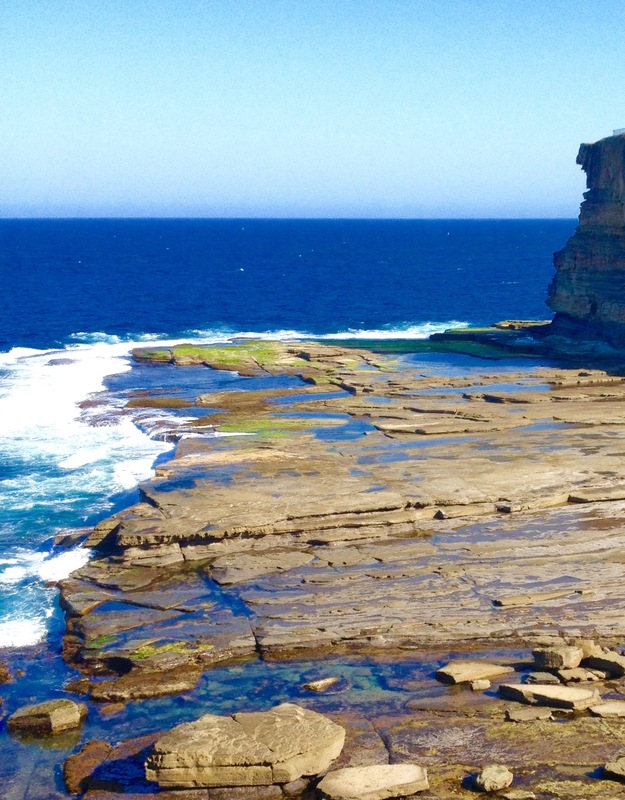 It is about 86 minutes from Sydney by car and 93 minutes from Newcastle – and well worth visiting, especially in Spring or Summer.